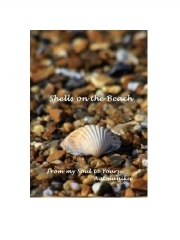 Description of "Shells on the Beach (eBook)"
We all like answers. Even to unasked questions. Sometimes we just don't know where to look for them. I looked and found some. The Shells on the Beach is my jouney of self discovery. I write to express myself …. Words that mean more than money and strife. Reviews of "Shells on the Beach (eBook)"